“Every woman deserves to look and feel beautiful but not at the cost of animal cruelty or ridiculously marked up prices.”. MOMMA is strongly against animal testing and is committed to be 100% cruelty free and vegan. 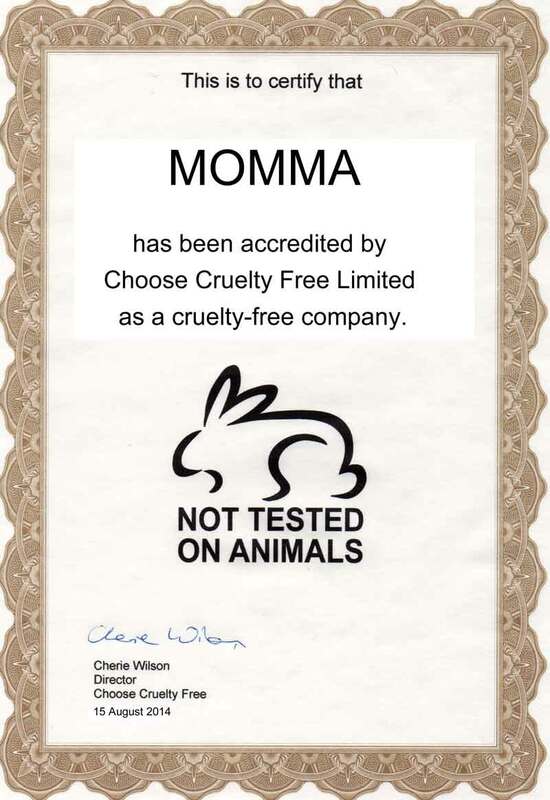 MOMMA is accredited by both Choose Cruelty Free and PETA. Choose Cruelty Free accreditation criteria is probably the most stringent in the world today.